The Women in Film & Photography showcase at Objectifs is a tribute to the female artists, photographers and filmmakers who have created works that tell stories with impact, break boundaries and inspire us. For the second edition of Women in Film, we feature the voices and verve of women in an arena that has been traditionally dominated by men. In celebrating the achievements of women working in the film industry, the programme highlights the career of acclaimed film editor Mary Stephen alongside short and feature-length documentaries by women filmmakers. Stephen will also give a free seminar on Editing for Documentary and Fiction on 5 November, 3-5pm, at Objectifs. More information here, and register here. Women in Film is held in conjunction in Women in Photography, more information here. Tickets are available at $5 per screening session on a first-come-first-served basis. To purchase tickets, please go to: http://womeninfilm2016.peatix.com. Limited tickets are also available at the door. Former school principal 88-year-old Lou has had Alzheimer’s for the last 10 years. She now recognizes almost no one except for her husband Feng. Nonetheless, they live a full and happy life in Shanghai. But when Feng himself gets sick, he decides it’s time for them to move into a retirement home. The subjects of Zhao Qing’s tender portrait are her own great uncle and aunt, whom she followed for three years. As an old Chinese saying goes, “Hold his hand to grow old together.” Please Remember Me perfectly encapsulates these words. Kyabakura is a type of hostess club in Japan, inspired by the French cabaret. There exists an ambiguous relationship between the clients, the men, and the hostesses, that should never materialize into a sexual relationship. There are strict rules, which of course, are designed to be broken. Omokagetayuta presents a voyage that traces the vague images of memories. High School graduation is on the horizon. A class salutatorian prepares her celebratory speech. Despite a budding career in public speaking, she is burdened by secrets and insecurity. An adoptive mother makes a road trip to a small Malaysian town to meet her daughter’s birth mother. The film details how she and her family cope with the unexpected outcome of the visit. Pineapple Town is part of the 7 Letters film omnibus featuring seven short films from seven Singapore filmmakers each to celebrate the 50th year of Singapore’s independence. Inspired by true events, Fata Morgana follows a Chinese couple who must examine their relationship after they arrive in the United States to organise the funeral rites for their only child. Inventive and wildly fun, NUTS! recounts the mostly-true story of John Romulus Brinkley, an American who touted a cure for impotence that involved transplanting goat testicles into men. From there, the story only gets more bizarre. Mixing hand-drawn animated re-enactments, interviews, and archival footage, NUTS! traces Brinkley’s rise from poverty and obscurity to the heights of celebrity, wealth, and influence. 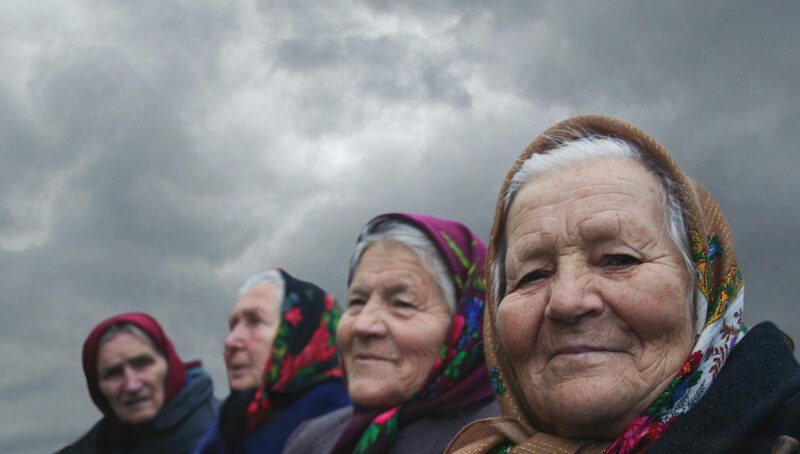 In the Chernobyl “Dead Zone” or “Exclusion Zone,” the film’s central characters – Hanna Zavorotnya (80), Valentyna Ivanivna (72), and Maria Shovkuta (85) – are the last survivors of a community of “self settlers” who refused to leave their ancestral homes after the Chernobyl nuclear disaster in 1986. This portrait of a community tells a remarkable tale about the pull of home, the healing power of shaping one’s own destiny and the subjective nature of risk. More a poetic film essay than a biographical documentary, this film offers glimpses of Dutch poet, painter, and anti-Apartheid activist, Breyten Breytenbach, a man who has spent his life away from the “mainstream”, with his specific, his very own Vision From the Edge. Following the artist’s preparation for his retrospective at the Frans Hals Museum in Haarlem, the film gives insight into Breyten’s creative process. A shy maths graduate takes a holiday in Dinard before starting his first job. He hopes his sort-of girlfriend will join him, but soon strikes up a friendship with another girl working in town. She in turn introduces him to a further young lady who fancies him. Thus the quiet young lad finds he has to do some tricky juggling in territory new to him. Since the start of the 90s, the Chinese government has strictly controlled the media’s access to orphanages. 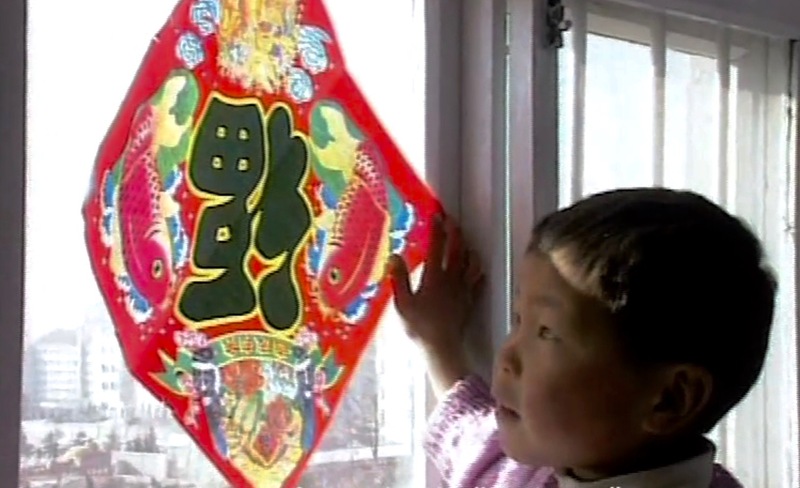 Accompanied by a mother living close to a Chinese orphanage for handicapped children, filmmaker Lina Yang was able to film this subject over a period of 10 years starting from 1995. Spending time and filming the lives of the orphans over a decade, the documentary observes the emotional changes of the children as they deal with their fears and insecurities. Twenty-one-year-old Mertkan has a stable but unfulfilling life in Istanbul: living at home with his parents, working as an office boy in his father‘s construction company, hanging out with his buddies in shopping malls and discos. When he meets Gül, a Kurdish girl from eastern Turkey, awkward Mertkan starts to become more confident, and it seems possible that he could break away from his oppressive parents. But Mertkan‘s domineering father opposes any association with “those people who only want to divide our country”. Will Mertkan be strong enough to avoid becoming the kind of man that his father wants him to be? Li Yang’s Blind Mountain unabashedly tackles the issue of slavery. Young student Bai Xuemei is conned by traffickers and sold as a wife to a remote village. Raped and beaten, she leads the life of a child-bearer with no hope of escape. Eventually, help arrives, but such assistance is illusory, and only indicates the beginning of another onslaught of tragedy. Filmed on locations in Hong Kong and in various cities in France and UK, Flowing Stories is an ode to village life and a search for Hong Kong’s roots. Tsang’s camera records the beautiful scenery and time-honoured customs of the local village, as well as a once-a-decade village festival, which serves as a continuation of a tradition passed down through generations and a testament of family bonding. 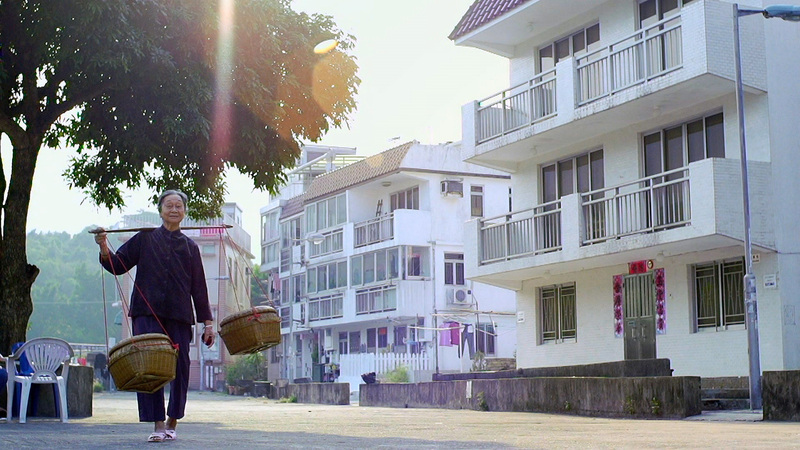 In reviewing the village’s development, the film hopes to find the meaning of home and diaspora. Anka Schmid sees herself as a border-crosser between film and art and, in addition to narrative cinema and TV films, she also makes experimental films and video installations. She has won various prizes and awards and has created numerous exhibitions. Her films have been shown at international festivals such as Locarno, San Francisco and Sundance. Zhao Qing started her career at Shanghai Media Group, where she directed and produced many television documentaries. From 2003, she joined the studio affiliated to the Shanghai East Normal University, producing educational programs. Please Remember Me is her first independent film. Her second independent film Entry to Utopia is currently in production. Momoko Seto is a film director at the National Centre of Scientific Research in Paris. She also makes experimental films and documentaries, which have been screened at several international festivals. She lives and works in France. Hitomi Ohtakara graduated from the Musashino Art University’s Department of Design Informatics in Japan in 2012 and from the Tokyo University of the Arts Department of Animation in 2016. Pom is a filmmaker born in Bangkok, Thailand and based in Providence, RI. She graduated with a Bachelor of Arts at Brown University, concentrating in Modern Culture and Media Studies, and spent a directed her first 35mm short film 10:10 at FAMU Film and TV School of the Academy of Performing Arts in Prague, Czech Republic. The short was officially selected at Festivals like Inside Out Toronto LGBT Film Festival and Filmfest Homochrom Cologne, Germany. Lanna Leite is a writer, actor and filmmaker based in New York. She currently works as a freelance production assistant to independent filmmakers in New York City as well as provides translation assistance to journalists based in Brazil. Tan Pin Pin is a film director from Singapore. Her films are explorations of Singapore, her histories, contexts and limits. They have screened at Berlin, Busan, Cinema du Reel and at the Flaherty Seminar. Her video installations were shown in the President’s Young Talent Show, Singapore Biennale and at IFA Gallery, Berlin. Originally from Beijing, Amelie Wen is a recent graduate from the American Film Institute and recipient of the Bison Fellowship for promising Chinese filmmakers. Her short films have screened in Clermont-Ferrand, Palm Springs and Raindance among many others. She is represented by the Creative Artists Agency. Penny Lane’s most recent feature documentary film NUTS! premiered at Sundance 2016, where it won a Special Jury Prize for Editing. Her debut feature documentary Our Nixon premiered at Rotterdam and it won the Ken Burns Award for “Best of the Festival” at Ann Arbor. Lane was named one of Filmmaker Magazine’s “25 New Faces of Independent Film” in 2012. She is currently a professor in the Department of Art and Art History at Colgate University. Holly Morris makes films that explore the lives of risk-taking, contemporary women around the globe; including, Behind Closed Chad-ors and Paradox Found. Her award-winning journalism on The Babushkas of Chernobyl (2011) is also the subject of her popular TED Talk. Eric Rohmer’s career has woven its way from the French New Wave and the legacy that the auteur leaves behind encompasses even more than just his own formidable body of work. The term Rohmer-esque has been unofficially part of the film lexicon for some time now, most often used to describe philosophical, spare, dialogue-driven films about relationships between men and women. His best-known films of this realist sort include those in the series Six Moral Tales, Comedies and Proverbs, and Tales of the Four Seasons. Lina Yang’s debut documentary Old Man won a number of awards including the Award of Excellence at the Yamagata International Documentary Film Festival. Her first feature film Longing For The Rain was nominated for awards at the International Film Festival Rotterdam and the Taipei Golden Horse Awards. Seren Yüce studied Archaeology and then worked as directing assistant on various television programmes. Yüce then made the transition to the film world as assistant director on respectively A Man’s Fear of God (Özer Kiziltan, 2006), The Edge of Heaven (Fatih Akin, 2007) and Pandora’s Box (Yesim Ustaoglu, 2008). Majority is his feature debut. Li Yang is a Chinese writer-director. He studied at the Beijing Broadcasting Institute before moving to Germany, where he graduated from the Academy of Media Arts in Cologne. He worked on documentaries before making his first feature film, the critically acclaimed Blind Shaft, a film about the dangerous mines in China. The film’s critical portrayal resulted in a ban by China, which was subsequently lifted. His next film Blind Mountain premiered at the Cannes Film Festival under the Un Certain Regard competition section. Jessey Tsang started her career by making short films, which have been screened at international film festivals. Her first feature film Lovers On the Road won the Best Drama Award at the 8th South Taiwan Film Festival. Her second feature Big Blue Lake won the Asian New Talent Jury Prix of the Shanghai International Film Festival 2012. She lives and works in Hong Kong.